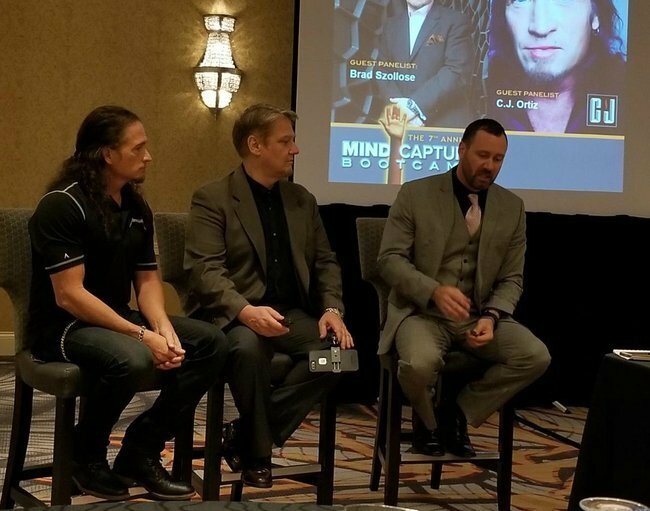 8th Annual Mind Capture Bootcamp to be held this October 17 and 18th, 2019 in Detroit, Michigan! LIKE THE CLASSIC SONG FROM CLASSIC ROCKERS, KISS, THIS YEAR’S EVENT THEME IS DETROIT ROCK CITY AS WE BRING IN A ROCKSTAR LINEUP OF RETURNING AND NEW FACULTY TO TURN YOUR MIND AND BUSINESS UP TO 11! “Join a small, select group of clients, past event alumni, and several new folks, our esteemed faculty, and other ‘Go-Getters’ in Detroit, this October 17 & 18th, 2019 for the 8th Annual Mind Capture Marketing & Mindset Bootcamp! We’re bringing it to Motown for the 1st time ever and keeping with the theme, it will be even BIGGER and more ROCKING than any event I’ve ever hosted! You will leave not only renewed and recharged, but also with several proven and immediate ways to grow your business. Dear Fellow Achiever and Friend of Mind Capture Group. Like the picture in Chicago, last Fall with Cj Ortiz, the “Metal Motivator”, Brad Szollose and me on Day 1’s Power Panel, as we proceed full-throttle into 2019, the feeling is almost like the roaring 1920’s when business confidence was high and it seemed that the good times would last forever. However, as history has always shown, booms are always followed by busts! WILL YOU TAKE ADVANTAGE OF IT AND JOIN US OR MISS OUT POSSIBLY DUE TO BEING “TOO-BUSY” TO READ THIS, OR PROCRASTINATE AND RISK THE EVENT SELLING OUT AND YOU NOT BEING ABLE TO GET A TICKET? “I have spent tens of thousands of dollars on personal development and business classes and seminars. I was completely blown away by the Mind Capture Bootcamp in Chicago. The speakers and information presented were world class. I saw first-hand some of the greats of the speaking world and heard personal stories about those who pioneered the industry. Several spots have already been taken by current clients, alumni, and fans of my books who are beyond excited that I’m bringing the event back to the Midwest. We WILL sell-out the event at 150 spots. I’ve already had several of last year’s alumni from Chicago that they will be back and with more people from their Inner Circle who missed the event last October. That’s all folks. Even letting the event grow to this size has weighed on my mind for a couple of months. However, I know we can still pull of the intimacy and incredible outcomes with a group this size, especially with those who I know from our faculty that will be assisting and teaching during our time together. We will again be doing the focused Group Mastermind and individual revenue seats for each attendee at devoting more time to it based on raving feedback from Chicago alumni. Having led revenue seats at my own events in San Diego, Las Vegas, Chicago, Grand Rapids and at many other events, we’ve darn near perfected how to get the most out of them for maximum efficiency and results. In addition, having learned up close and directly from whom I believe are the TWO BEST marketing and sales minds in the world on the topic of the mastermind still living, Dan Kennedy and Ben Gay III, we’ll take your mindset and belief structure of what you thought possible, to a much, much higher level. You’ll see a lot of successful promotions up close and personal. 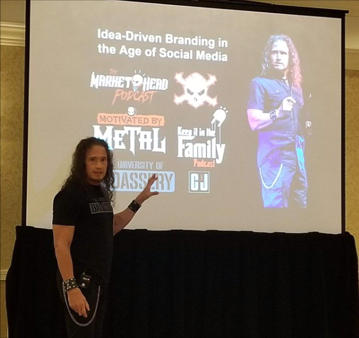 My handpicked faculty knows that my events are legendary for not only unique access that attendees get when they are in attendance, but also for sharing real-truth, behind the curtain details. No punches are to be pulled, and no hard selling is allowed from stage. The faculty are first and foremost teachers that are there to both share specific tips and inspire others. 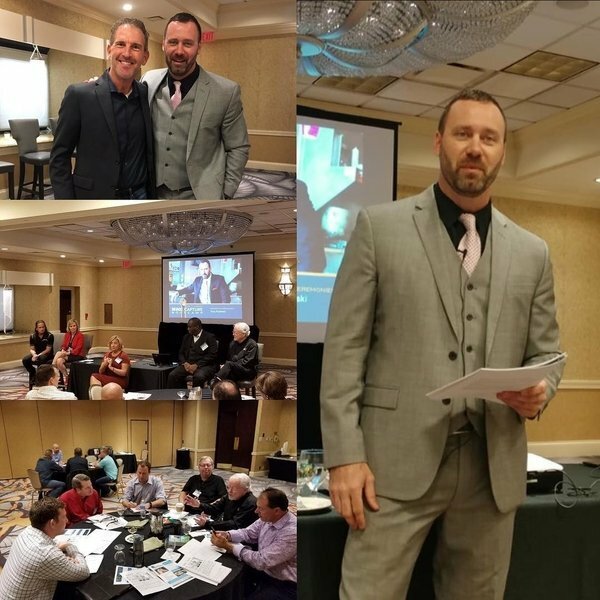 I will also be sharing NEW UPDATES for 2019 to the Mind Capture System and revealing several key components that are working like gang-busters with clients and in my own business in the areas of getting attention, high-level referrals, and helping them stay focused and dialed in on with key areas related to their businesses. I strongly encourage you to join us at this life-changing and truly unique, intimate, and one-of-a-kind event in Detroit and get on the reservation list and put down your deposit now to hold your ½ off ticket (Max 2) for this year’s event in Detroit on October 17th & 18th, 2019.